PRSim’s Tenant Survey (2018) finds that 70% of tenants asked would be influenced by not having a security deposit when choosing between rental properties. Figures from the Tenancy Deposit Scheme suggest that average rental deposits in England and Wales are now £1,041. In London this rises to £1,750. Given that deposits have to be raised prior to existing deposits being returned, this can put tenants under a financial strain. 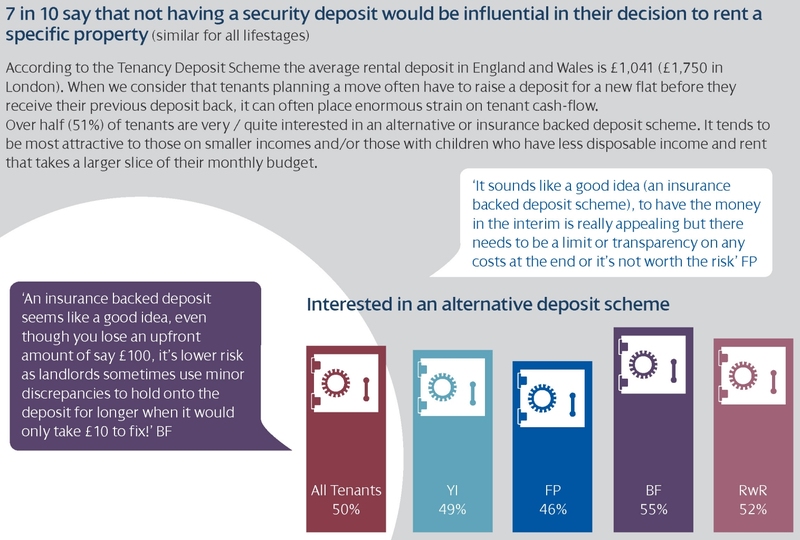 As a result, more than 50% of tenants asked expressed a strong interest in insurance backed alternative schemes. Such schemes were particularly of interest to those on a tight budget.